To make the finest countertops you’ve got to start with the finest materials. At RJS Stone Tops we use only the very best. What’s more, we match each material and application to ensure that our clients get the best out of their countertops for years to come. Click through the images to learn more about each of our countertop materials below. Quartz is one of the hardest and most abundant minerals in the earth’s crust. Prior to being used in countertops or surfaces, individual quartz crystals are fused into slabs that offer clean joints and easy maintenance. Quartz countertops are non-porous and do not require sealing. Our quartz countertop and surface products carry exceptional warranties. Common quartz brands that RJS Stone Tops fabricates and installs are Caesarstone, Silestone, LG Viatera, Vicostone, Penta and Wilsonart. If you have a product in mind that has not been listed, please contact us, as we are adding new products to our roster all of the time! This blend of resins and minerals has opened a huge variety of options for designers and architects and continues to innovate with dozens of completely seamless solid surface products, perfect for countertops, wall surfaces, commercial food and display surfaces and more. Common Solid Surface brands that RJS Stone Tops fabricates and installs are Corian, LG Hi-Macs, Avonite, and Staron. 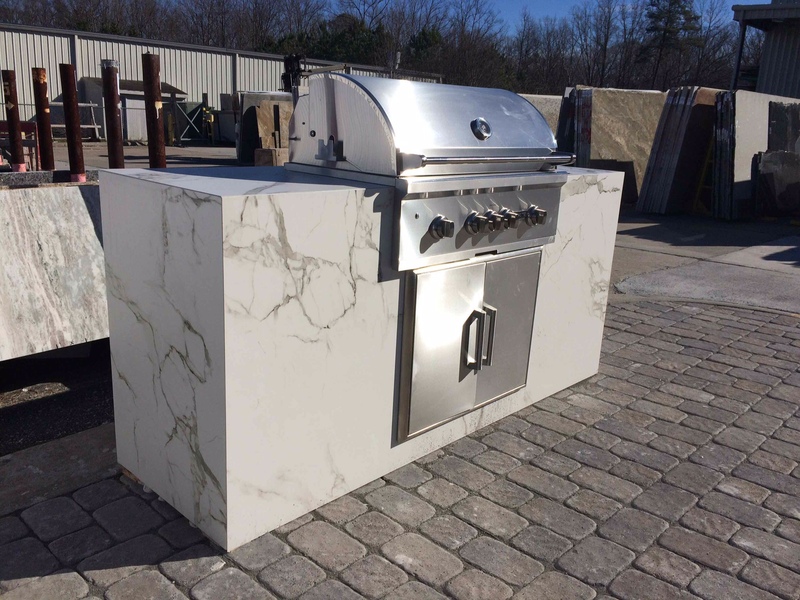 There are many different types of Natural Stones but the most common types that we work with are Granite, Marble, Onyx, Quartzite and Soapstone. RJS Stone Tops purchases slabs of Natural Stone from a number of local suppliers in Vancouver with slab galleries where you can view full slabs in person. Please contact us for a referral to one of our suppliers! A new addition to the engineered stone category, Dekton is an innovative ultra compact surface by Cosentino (makers of Silestone), made up of a sophisticated blend of raw materials. Dekton employs exclusive Sinterized Particle Technology, a high tech process which represents an accelerated version of metamorphic change that natural stone undergoes when subjected to high temperatures and pressure over thousands of years. The result is a product that is highly heat and scratch resistant as well as UV stable, making it ideal for applications such as BBQ tops and outdoor kitchens. 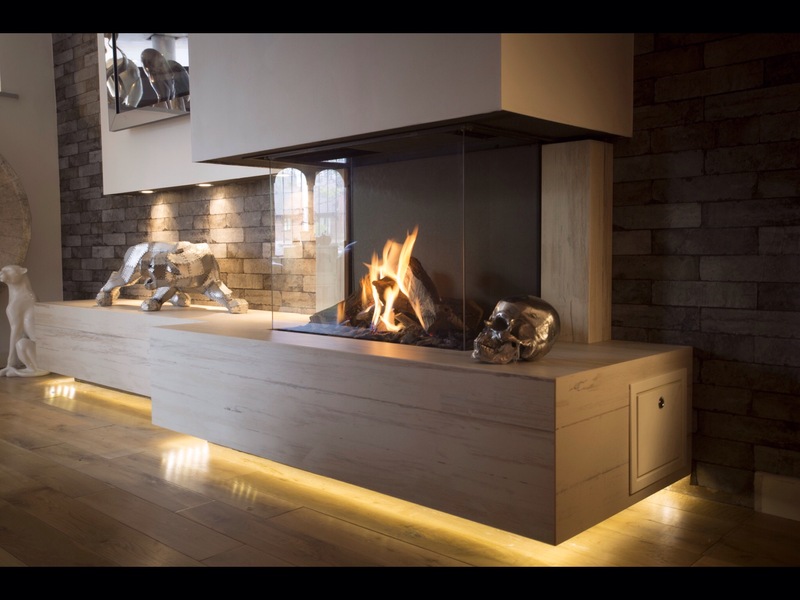 Dekton’s high resistance to heat also makes it perfect for fireplace applications. Other popular applications include commercial offices, medical/dental offices, signage, restaurants, and exterior applications. RJS Stone Tops also offers manufacture special size for Dekton Flooring and Wall Systems in addition to inlay custom logos and photos, please inquire within for current manufacture wait times. For more information on Dekton, please contact us or visit our Showroom. Designed in Canada and built from high quality materials, Gemini Sinks are a fine addition to any countertop. Gemini sink models are crafted in a variety of materials and in different sizes each designed to offer unique qualities for every application. Kitchen countertops and bathroom vanities are just the start. Gemini sinks are sure to have the product to make your countertop project complete. Wall panels and partitions offer homeowners, designers and architects the opportunity for extravagant flights of creative expression. DuPont™ Corian® solid surface brings the same beauty to walls and vertical surfaces as it does to countertops, tables, and bars. Endlessly smooth to the touch, a wall panel in Corian® gives elegance and a reassuring permanence to any space, and, with various creative techniques, such as inlaying, Corian® solid surface can be transformed into a work of art or an information tool. When you’re designing a high-visibility area that simply must have that “wow-factor” or a high-traffic area that needs to withstand heavy use and still look like new, wall panels, partitions, and interior cladding created with DuPont™ Corian® deliver the ideal combination of functionality and beauty. Contact RJS Stone Tops for more information. For more information about any of our products, please contact us directly at 604.233.6206 or visit our Showroom.